Published: Aug. 25, 2018 at 04:56 p.m. Check out this Can't-Miss Play as Pittsburgh Steelers quarterback Ben Roethlisberger connects with wide receiver Justin Hunter who snags a 32-yard pass in the endzone for the first touchdown of the game. Published: Dec. 25, 2017 at 04:58 p.m. Published: Aug. 31, 2017 at 08:36 p.m.
Pittsburgh Steelers quarterback Joshua Dobbs throws 58-yard touchdown pass to wide receiver Justin Hunter. 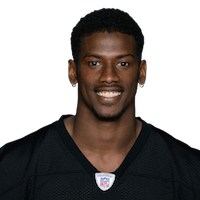 Published: Aug. 20, 2017 at 06:57 p.m.
Pittsburgh Steelers quarterback Bart Houston finds wide receiver Justin Hunter for the 6-yard touchdown.